Access all your files at anytime and anywhere. 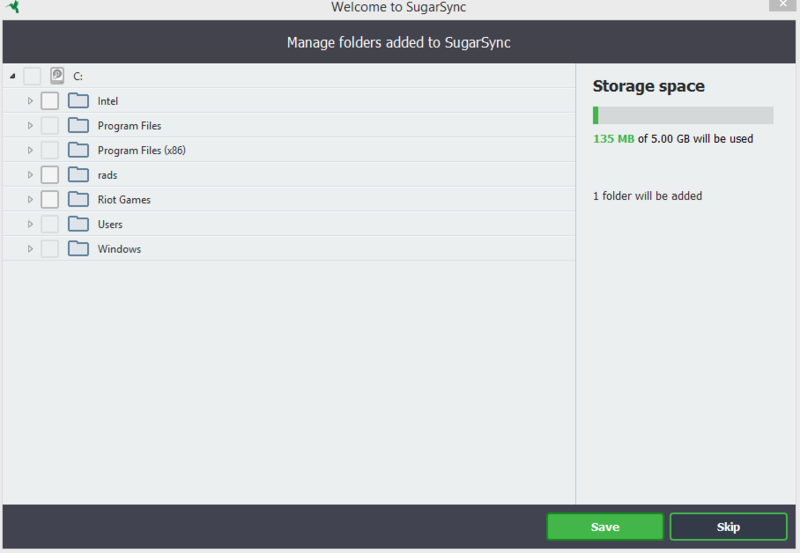 This is what SugarSync promises to its users and to be honest with you, they really deliver on this promise. 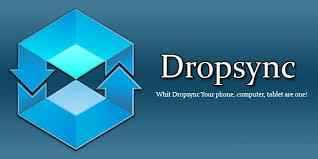 They offer a powerful backup service presented with a clean and intuitive interface. Their service is so efficient that you can sync single files or full folders in a simple click, whether it’s from a mac or iPhone. First off, backup is simple and easy to do which in itself is a feature. 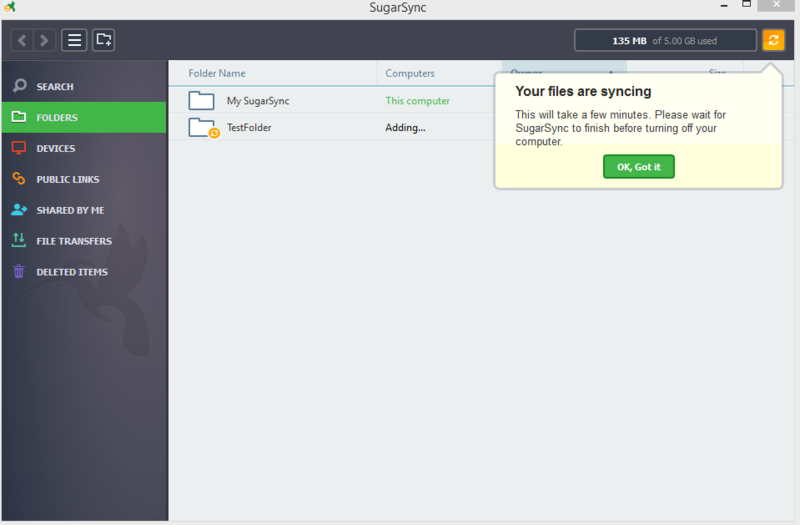 Whether you’re on Mac or PC SugarSync, you can sync the exact set of files you designate from single files to folders and folders worth. Sharing files is done with a simple click, you can choose to share privately with specific users or publicly for everyone and control things like edit/view access. They offer a great feature in continuous automatic backup, the service they provide works quietly in the background without interfering with the productivity of your computer. You can also sync files across multiple devices, even PCs with Macs. They also offer top of the range security features that ensure all your data is secured. Lastly mobile productivity is a big part of what SugarSync provide. You can use their iPhone or Android platform to manage files and easily edit, view, and share them whilst on the go. This feature makes using their service whilst on the go easy and incredibly efficient. 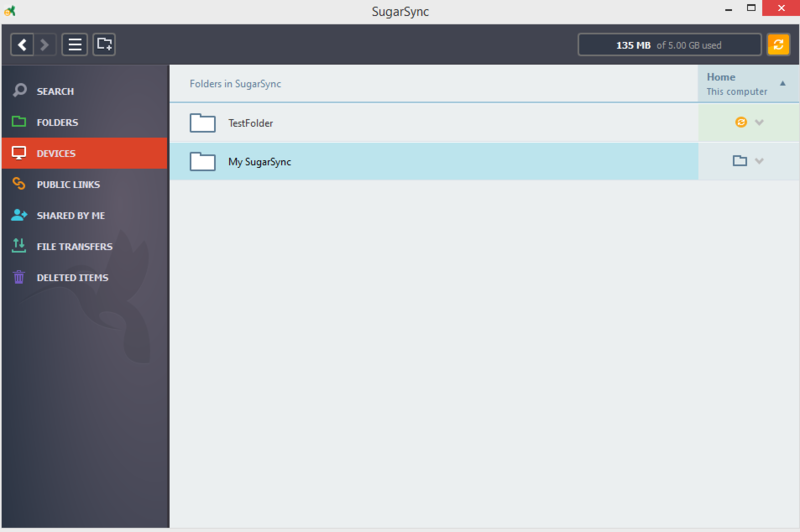 This is where SugarSync strays from most services and probably not in the best way. They offer five plans in total, three for individual and two for business. The three individual plans are for 100 GB of storage, 350 GB of storage and 500 GB of storage. Whilst the two business plans are for 1000 GB of storage and a custom plan. The 100 GB plan has a monthly cost of $7.49, the 250 GB plan has a monthly cost of $10 and the 500 GB plan has a monthly cost of $25 month. The 1000 GB plan has a monthly cost of $55 whilst the custom plan costs whatever you have customized the plan to. The custom plan is more geared towards enterprises that require a large amount of data. These business plan pack include a vast array of extra features such as priority support and admin control. However all of this said; their default plan lacks in storage compared to the price you’re paying in comparison to their starter plan, a lot of other competitors in the cloud based services industry would offer 1 TB or even unlimited storage for the price they cost. All your files transferred via their service are encrypted with TLS (Transport Layer Security) at 256-bit AES encryption. This is the same level of most the banking systems worldwide and ensures your data is completely secured. The security features provided on their service includes everything from sending/restoring files, data protection and file sharing among individuals/employees. Their security feature also ensures you can safely share your data with others. 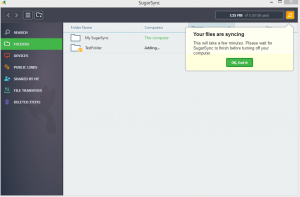 I was relatively pleased with the speed of SugarSync’s service. It only took 17 minutes to transfer a 135MB file, which took nearly an hour with some other services. While this may sound slow, users should note that I am using an ADSL Internet connection that only has 5Mbps download speed and 1 Mbps upload. For a user who has an Internet connection with 2Mbps upload bandwidth, we could reasonably assume the transfer time for this speed test would be cut in half (about 8 minutes or so). 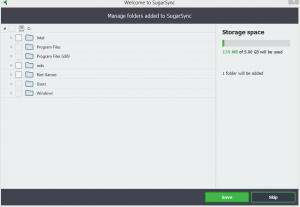 SugarSync backup supports all mainstream file types from pictures to videos and audio files etc. Their mobile app also supports direct photo backup as you take them. This real-time backup makes it easier for users to keep a second copy of the memories they capture, all of which can be synced between multiple devices and people. The service they provide is quick and efficient with an easy to use interface, the fact they are geared towards mobile devices which means they are just as efficient on these devices and this is an added bonus. Restore capabilities wise you may get back any folders you backup using their service as you need to. The service they provide means that all files can be accessed by a variety of devices whether it’s windows, OS X, Kindle, Android and more. Their online control panel has a “Deleted items” section that makes restoring old files a click away. The service they provide even separates shared items in their own folder “Privately Shared Items” in case something you and co-worker have been collaborating on gets deleted. Needless to say restoring is just as easy as backing up with SugarSync, they provide an incredibly efficient service on both and it is unlikely you will have any complaints with the service they provide on these fronts. Their customer support section is filled with a large amount of helpful info from installation setup guides to FAQ’s. Whilst they don’t have a direct chat line or apparent phone line displayed on their support homepage they do have a ticket request process users can go through to get help. However this requires a login process and isn’t as seamless as most services’ support systems, in the event you have a problem with their service and require instant guidance it I unlikely you will get it. At the end of the day SugarSync does what it aims to do and makes the backing up and restoring of files simple no matter the platform you’re on. However it doesn’t really do anything better compared to the competition to make it stand out. Additionally it’s pricing and storage plans just aren’t up to par with the majority of the services available, for the price you pay on storage you are likely to get much more or even unlimited storage. Where it excels in is its service and quality although it really does lack in pricing, plans and competitive edge.